What is the basis of our capacity to act morally? This is a question that has been discussed for millennia, with philosophical debate typically distinguishing two sources of morality: reason and sentiment. This collection aims to shed light on whether the human capacity to feel for others really is central for morality and, if so, in what way. To tackle these questions, the authors discuss how fellow feeling is to be understood: its structure, content and empirical conditions. Also discussed are the exact roles that relevant psychological features - specifically: empathy, sympathy and concern - may play within morality. The collection is unique in bringing together the key participants in the various discussions of the relation of fellow feeling to moral norms, moral concepts and moral agency. 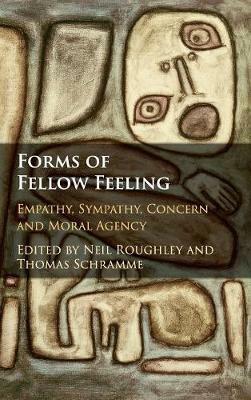 By integrating conceptually sophisticated and empirically informed perspectives, Forms of Fellow Feeling will appeal to readers from philosophy, psychology, sociology and cultural studies.